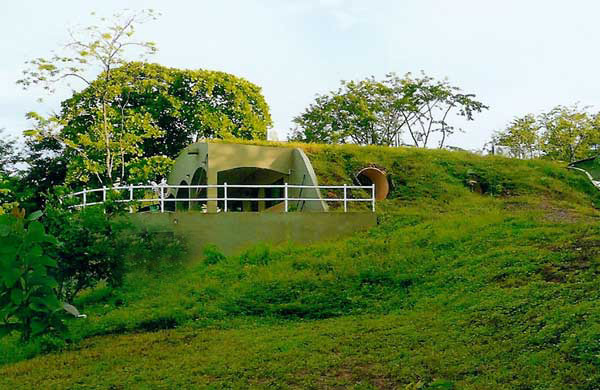 Villa Cueva is the first underground home in Costa Rica. It is bright, cool and energy efficient. In March of 2015 we added solar panels. Large duel pane windows are across the front and back of the house. Side windows are cement culverts fitted with round dual pane glass. It was designed and built by an MS patient with coolness, roominess and comfort for the ambulatory disabled in mind. Check the surf from the pool. 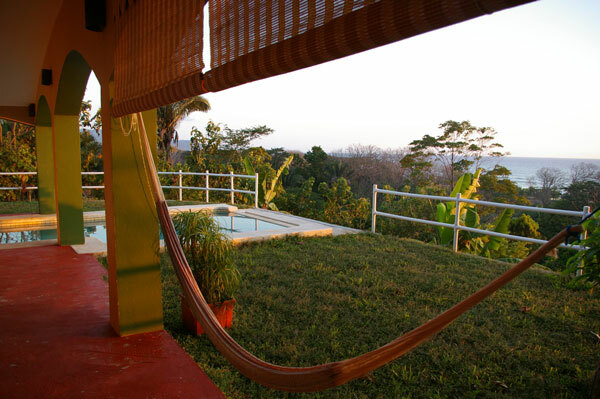 Take a downhill 5 minute walk or drive to an access to Playa Santa Teresa at the SW corner of our property. The water is a warm 84 degrees F. The house is above and off the main road on 2 acres. Our old mango orchard shields the house from the road dust encountered in dry season. 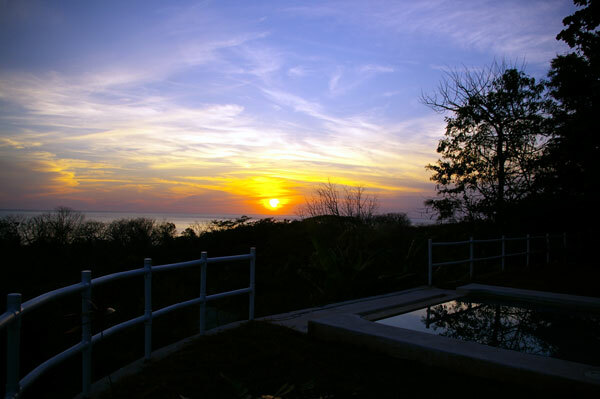 Watch sunsets nearly year round with our 220 degree view. This photo was taken in March. Leaves fall from the thorny pachote trees to conserve moisture in the dry season. 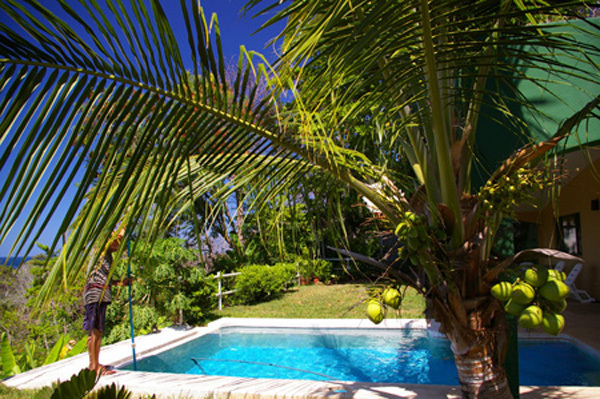 When the pipas are ripe you can have coconut water directly from the coconut palm by the pool. The pool is 7ft (1.22m) at the deep end and 4ft at the shallow end.